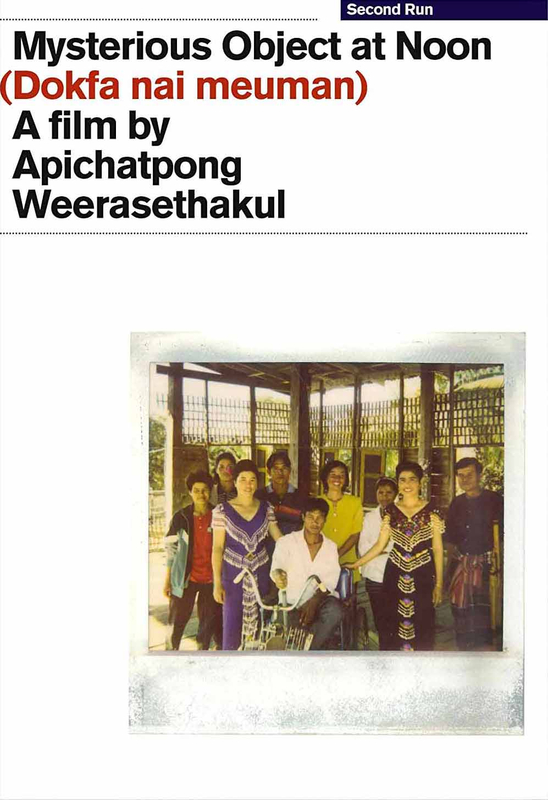 Apichatpong Weerasethakul's hallucinatory debut feature Mysterious Object at Noon is an experimental documentary-drama that wends its way through the landscapes and mindscapes of rural Thailand. A film crew travels from the Thai countryside to Bangkok, asking the people they encounter along the way to expand upon a story involving a young wheelchair-bound boy and his teacher. The resulting stories are later re-enacted by non-professional actors in dramatic re-creations of the meandering tales supplied. The daisy-chain structure of interlocking vignettes is inspired by the surrealist game Exquisite Corpse, and its formal strategies are aligned with both documentary realism and the avant-garde, but this boldly original debut looks and feels like nothing else.